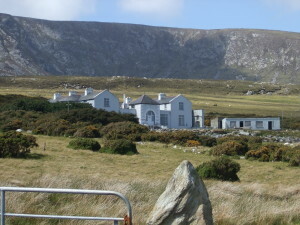 Corrymore House in the 1940’s was a hive activity and perhaps the hub of Achill Island at the time. 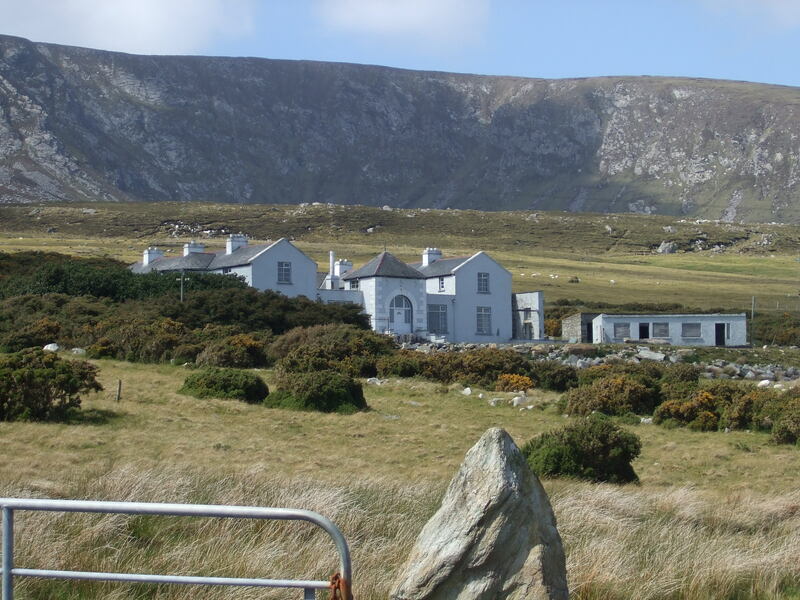 It was owned by Major Dermot Freyer, doctor, politician and poet turned hotelier. A colourful character, he had great ideas for his hotel, which he implemented with great success. Our tea dances were very popular this year – I think that, it was due to the fact that there was nowhere else for people to on a Sunday. Can you imagine 150 people crammed into a lounge, some of the drinking tea and others dancing while the Major roared instructions at them, and two or three of us charged in and out among them with trays? Bridie at only 20 years old was housekeeper and manageress of the hotel, she along with her two sisters served at the famous tea dances of Corrymore. A 1959 article for the Sunday Independent describes those Sunday afternoons many years ago. With Mrs. Weddall, who had accepted the West as her home, they organised afternoon-tea dances, which brought well over a hundred guest to tea hotel each Sunday afternoon to sip tea out of fine china eat the Gunning sister’s cakes and follow the intricate patterns of old Irish and English folk dances. This entry was posted in Friends, History, Places on November 20, 2016 by Maria.